wRECklESS Rail Jam 2016: Photos and Results from This Year’s Competition at Beech Mtn. All photos by Drew Fuller. 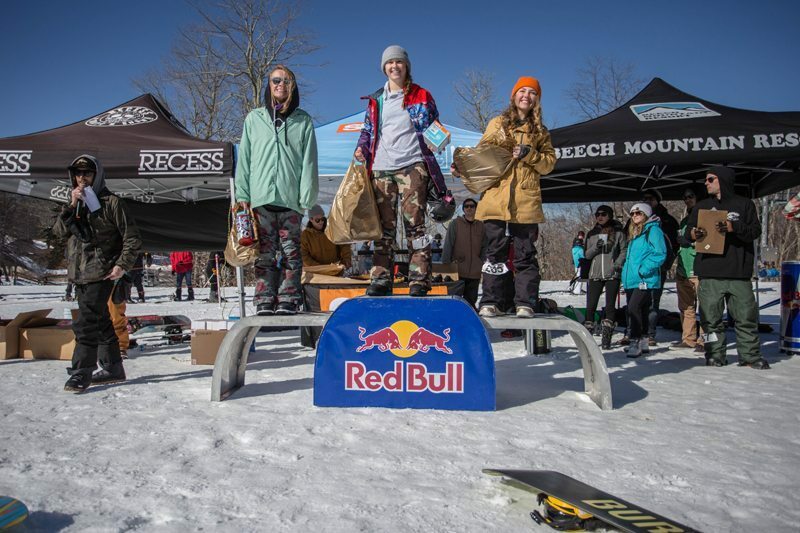 RECESS Ride Shop hosted its annual wRECklESS Rail Jam at Beech Mountain Resort on Saturday, Feb. 27, offering the biggest cash prize among rail jams in the Southeast. The weather was perfect and, with $2000 up for grabs, everyone was charging it! This was a jam format snowboard only rail jam with all categories: beginner, intermediate, advanced and women’s. Tons of sponsors, prizes, cash and good times! RECESS extends a big thanks to all the riders who made it out, Beech Mountain Resort, park crew, spectators, judges, photographers, filmers and, of course, all the sponsors: Spy, Capita, Union, Coal, Crab Grab, 686, Stance, Vans, Red Bull, Dakine, Interior Plain Project and Snowboarder Mag.